I love freshly baked bread, but when you’re in a hurry who has time to wait for the dough to rise?! 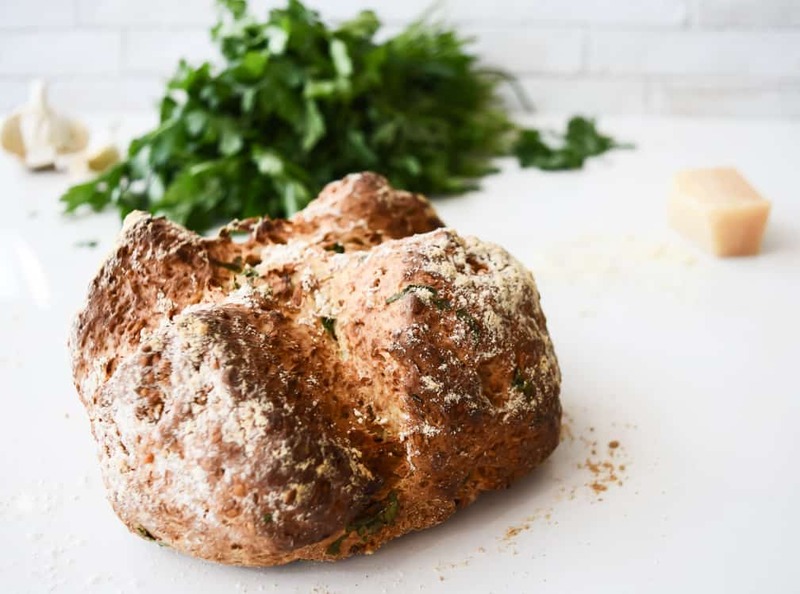 Say hello to this soda bread, no rise time needed. Just mix the ingredients and bake! Perfect! Whilst plain soda bread is delicious as it is. I wanted to compliment the Italian meal I served it with. This aromatic loaf is flavoured with garlic, parmesan and parsley. I have been a busy bee this week and running on my reserves since Nugget has decided sleep just isn’t for him. Life is too amazing. Even at night, apparently! So whilst I have been functioning in some kind of zombie state, dragging myself around, with a frazzled look and matchsticks propping open my eyelids, the lack of sleep has not deterred Nugget from living life to the fullest. Well, at least as much as you can when you’re 9 months old! He has been spending his days giggling, chatting and trying his best to break the bouncer we bought for him. Of course, I don’t mind really, I can catch up on my beauty sleep one day and I am sure it won’t be long when I will be having to insist that he and his big brother need to get up or be late for school! It’ll be then that I’ll wish for these days again. My secret weapons of the week are coffee (lots and lots of it) and quick, easy meals for which I don’t have to engage too much brain function to make. This loaf is ideal for that. 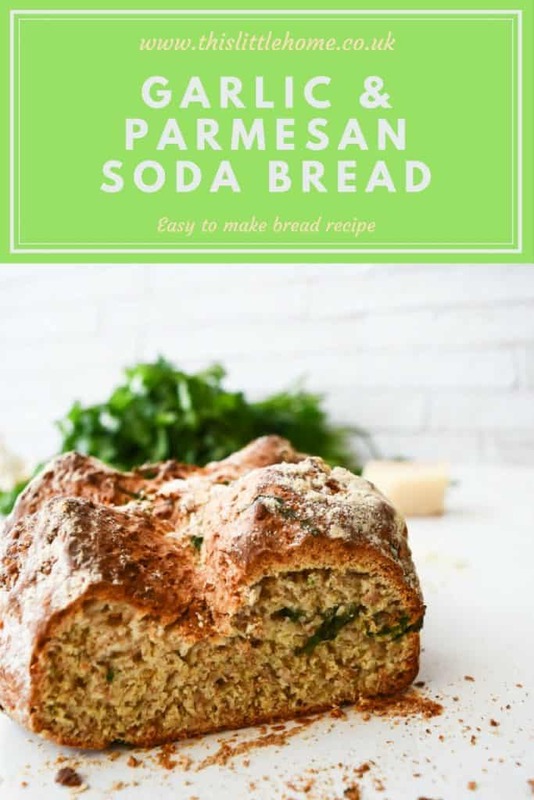 The ingredients listed make a small loaf which is perfect for us for one meal. If you want a bigger loaf just double up on the measurements. Mix both flours together in a bowl. Add the salt and bicarbonate of soda and mix through. Rub the butter through the flour mix until fully combined. Add the buttermilk and mix through. The dough is quite sticky at this point, that’s ok. Mix it until it looks like this. Chop the parsley and add. Grate the cheese and combine everything with the dough until it’s mixture through. It’s easiest to use your hands for this part. Once your dough is ready, shape it into a ball and place on a baking tray with some non stick baking paper. 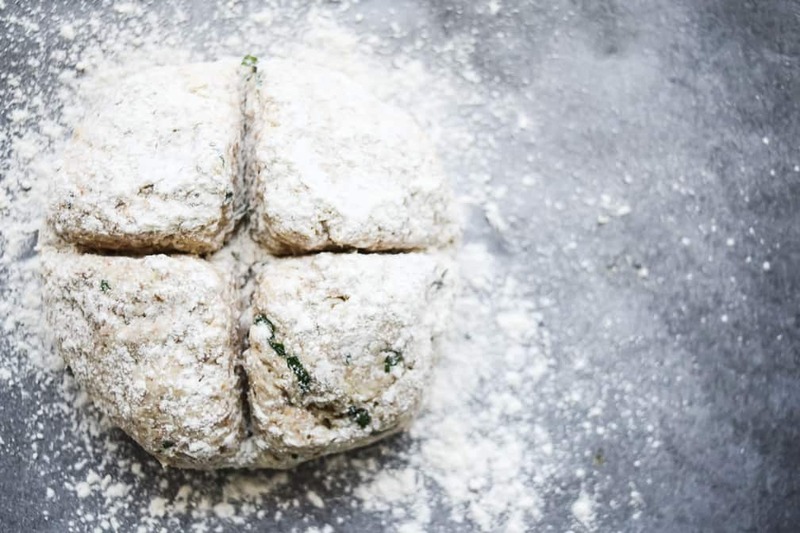 Using a sharp knife, cut a deep cross about two thirds of the way through and dust with flour, the cuts into the dough help it to cook through. Place in the oven for 25-30 mins until golden brown. A good test to see if your loaf is ready is t take it out of the oven and knock on the bottom with your fingers. If it’s cooked it will sound hollow. 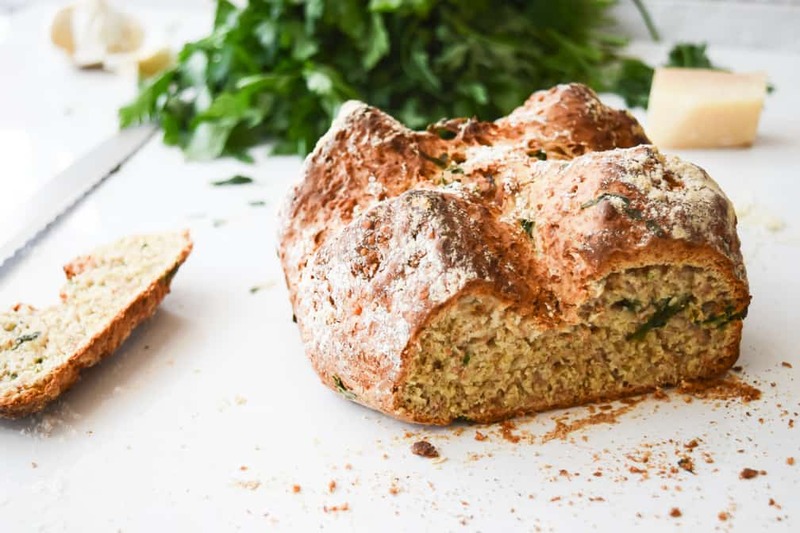 Looking for more soda bread recipes?